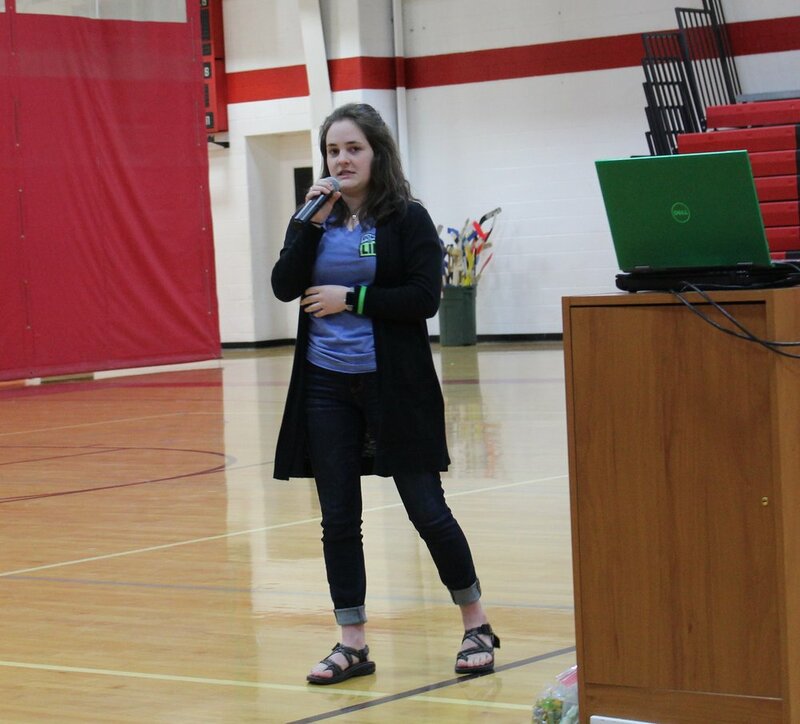 After a Red Cross blood drive yesterday, Lutheran Northwest today held a special assembly to raise awareness for organ donation and for the upcoming National Donate Life Blue & Green Day on April 12. Two seniors spoke movingly to their classmates and teachers about their own experiences with organ donation. Tommy Schomaker was diagnosed before birth with a serious heart condition that led to five surgeries by the time he was five years old, at which point the doctors said that there was nothing more they could do. A heart transplant was his only option. He received his new heart in June of 2009, when he was eight years old. His donor was a 6 year old girl from Minnesota named Audrey. Audrey’s teenaged brother had seen a teacher wearing a green bracelet earlier that week and had asked about it. It was an organ donation awareness bracelet so, remembering this, he spoke up to his parents and they made the decision to share the gift of life in the midst of their own sadness. Jenna Ozerities’ brother Andrew died suddenly last summer at the age of 25. Her grieving family learned that Andrew had signed up to be an organ donor just months before his death and, as a result of that, five people were able to receive life-saving organ donations. Losing Andrew has been incredibly difficult, but Jenna and her family have the comfort of knowing that the lives of five other families have been forever changed by the gifts they received from Andrew. A big thank you to Tommy and Jenna for sharing their stories with us and for helping spearhead our organ donation awareness efforts here at Lutheran Northwest!